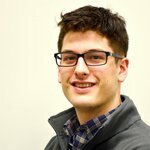 Alex Kroeger is currently in economic consulting and is a former analyst for the Federal Reserve Bank of New York. He is interested in the economics of money and payments and was introduced to Bitcoin in 2013. He holds some bitcoin and various altcoins. The internet and social media have unleashed unprecedented access to information. The time between content creation and widespread publication has become vanishingly small. Along with this ease of access and sharing, however, comes a lack of control over one’s own content. With a few clicks, content can be republished without reference to its original source, thereby obscuring who the authentic owner is. What the internet has lacked up to this point is a network-based log of ownership that can keep pace with the exchange of information. Enter blockchain technology. While the first and currently most prominent application of this technology is an internet-based payment system, this will over time prove to be just one of many use cases. One of the earliest non-financial applications of blockchain technology was a service called “Proof of Existence.” The service embeds a hash of a document into a block in the Bitcoin blockchain. A user can use this embedded hash to prove that the document existed at the block height containing the hash without relying on a trusted third party, creating a decentralized timestamping service. Po.et is a blockchain protocol that aims to expand on the concept of Proof of Existence to become a transformative tool for the publishing industry. In its early development, Po.et will be a platform on which written content can be timestamped using the Bitcoin blockchain and be discoverable along with important metadata. Eventually, Po.et aspires to create a fully decentralized marketplace in which publishers, editors and content creators can interact with purchase and licensing agreements without the frictions that exist today. According to Bronstein, these questions are currently difficult to answer for many works, and the organizations that manage ownership and licensing information like Getty Images and Creative Commons often exist in silos without interoperability with other platforms. The Po.et development team has divided their milestone iterations into three “eras”: Rosetta, Gutenberg and Alexandria. 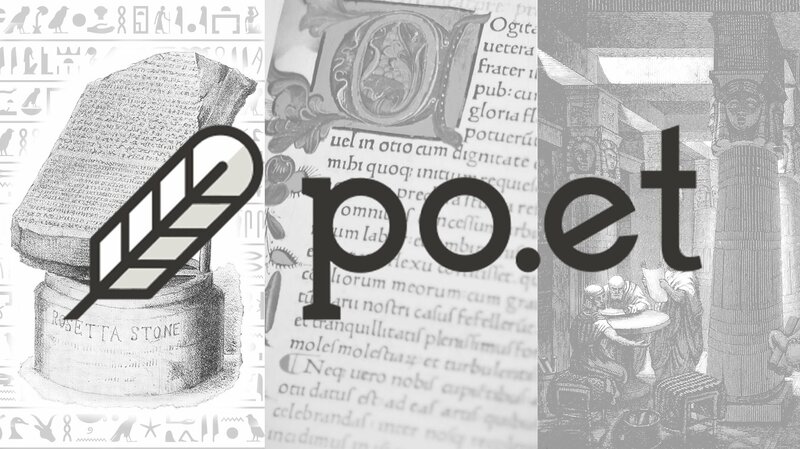 “The Rosetta era represents Po.et’s potential to enable new understanding of written works, their authenticity, provenance and edit history through blockchain-based timestamping,” said Bronstein. The first era has already begun offering these timestamping services to publishers of written content. The document, along with standardized metadata, is stored on the BitTorrent network so that it can be discovered by any party interested in knowing its origins and authorized uses. The second stage, the Gutenberg era, is projected to begin in April 2018. During this stage, Po.et intends to expand its platform to include custom licensing agreements for registered assets, revenue sharing and a written content marketplace. Payment channels will be utilized at this stage to enable cheap and instant micropayments for the agreements with a wide array of more than 40 publishers. One key application of these features may be an e-book metadata format that can serve as an alternative to the current costly standard for creating discoverable metadata for books: the ISBN system. The third and final era, Alexandria, is slated to begin in July 2019. “The Alexandria era is when we expect Po.et to reach scale and become the first universal ledger for all types of digital assets, just as Alexandria was the home of the first world library and greatest repository of all human knowledge,” said Bronstein. This stage will see the expansion of the Po.et platform beyond written content to include image, video and audio assets. Furthermore, Po.et hopes to introduce in this stage a fully decentralized marketplace open to all stakeholders with a reputation system to promote honest use of the network. In this stage, developers will be able to write and deploy smart contracts that interact with this open marketplace. One major use case of Alexandria could be brand licensing, an industry estimated to total over $250 billion in sales annually. The simplified process of verifying authenticity and negotiating terms with Po.et could open this market to smaller players. Bitcoin Magazine was the first to integrate the Po.et document timestamp into its platform — you can find a Po.et authentication badge at the top of this page. Other major digital media publishers in the blockchain space have signed on as alpha partners, including The Merkle, Crypto Insider, CoinSpeaker and ChainB. Po.et has also forged a unique partnership with the LTB Network through which owners of the LTB Network’s LTBCOIN can swap their tokens for up to a total of 1 percent of the total Po.et tokens available. Thus far, Po.et has secured financial investments from BTC Inc. and several blockchain notables, including Fenbushi Capital, led by Bo Shen, Feng Xiao and Vitalik Buterin; Simon Dixon and BnkToTheFuture; Michael Cao of block.one; and Matthew Roszak and Anthony Di Iorio. Po.et will also be funded by a token sale taking place on August 8, 2017. 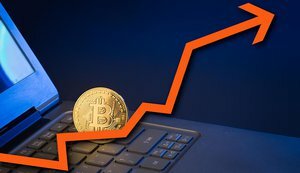 At that time, 50 percent of the total supply will be sold off for bitcoin or ether. POE tokens represent a proportional stake in the fees generated over the Po.et platform. While these fees are currently subsidized by the Po.et Foundation during the Rosetta era, they will eventually be generated by processing license payments and creating content licenses and then collected by the Po.et Foundation in future eras.